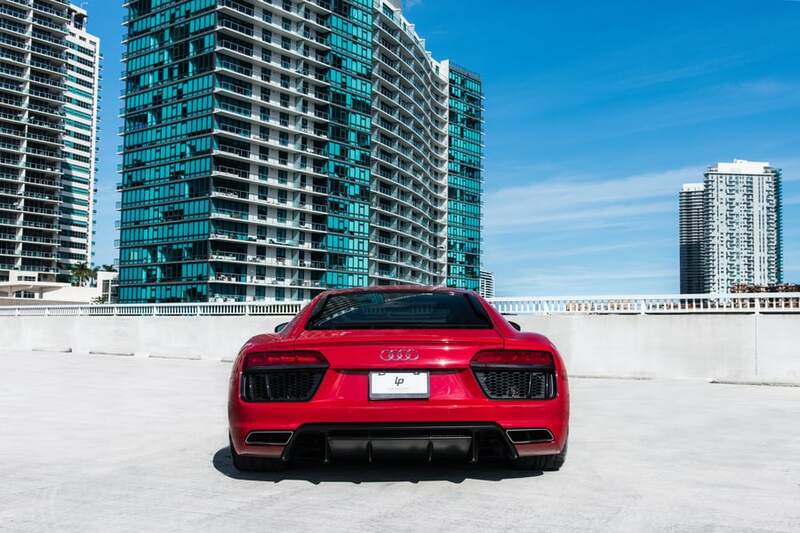 If you’re going to rent an Audi in Miami, opting for the supercharged R8 is the easiest way to ensure a memorable experience. This mid-engine sports car delivers luxury and performance like few others can. 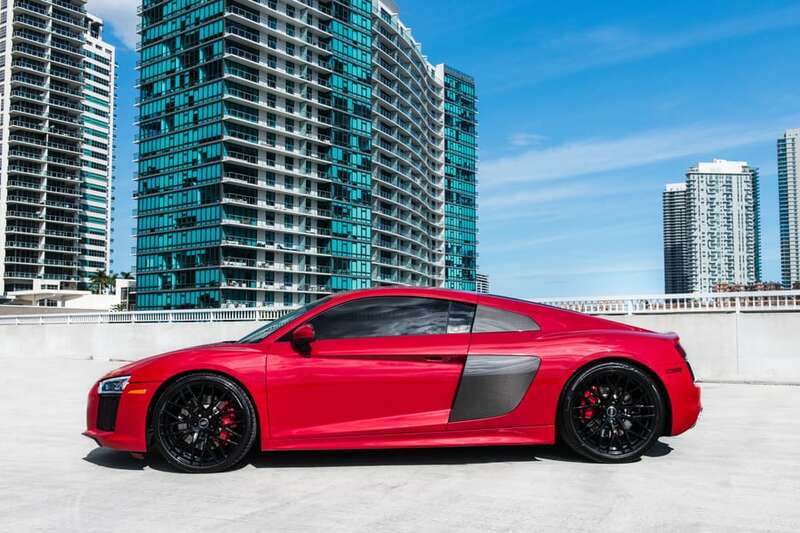 Here are a handful of great reasons to book an Audi R8 rental in Miami. 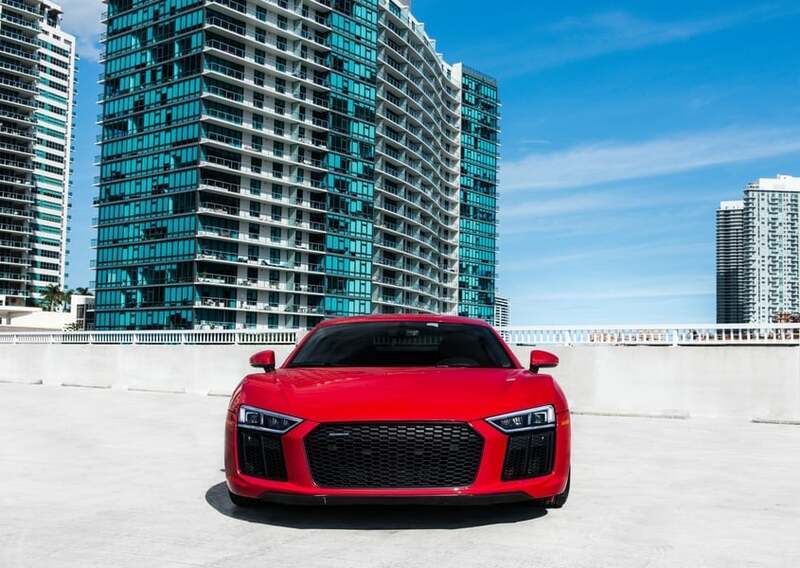 Piloting the Audi R8 is a dream thanks to its precise steering and excellent brakes. Audi’s Quattro all-wheel-drive system enables drivers to power through challenging road conditions with ease. The R8’s Audi Space Frame chassis isolates passengers from bumps and vibration at any speed. 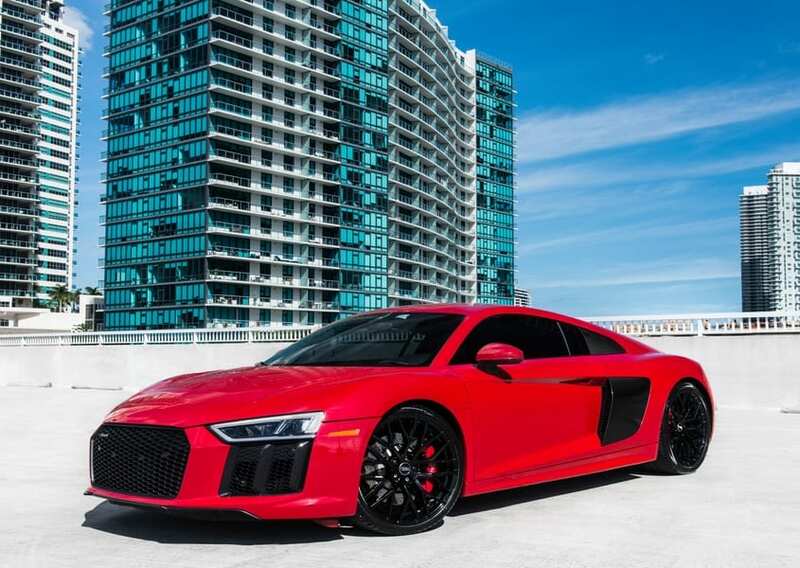 Equipped with a V10 engine that produces up to 610 hp and at least 413 lb-ft of torque, the R8 is a monster in the muscle department. It can hit 60 mph in 3.5 seconds and reach a top speed of 205 mph. When you sit down in an Audi R8, the first thing you’ll notice is the attention to detail that was clearly invested in the upholstery and trim. 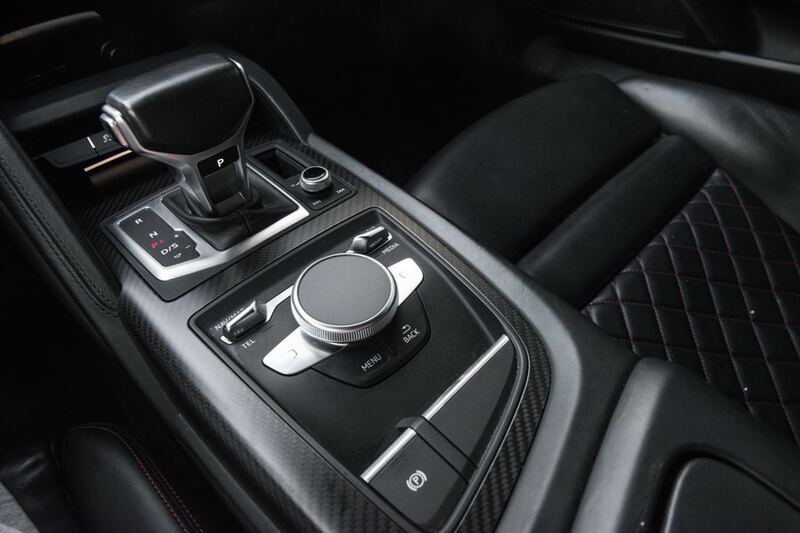 From the leather-wrapped steering wheel to the racing seats with integrated headrests, the R8’s cabin is a class act. 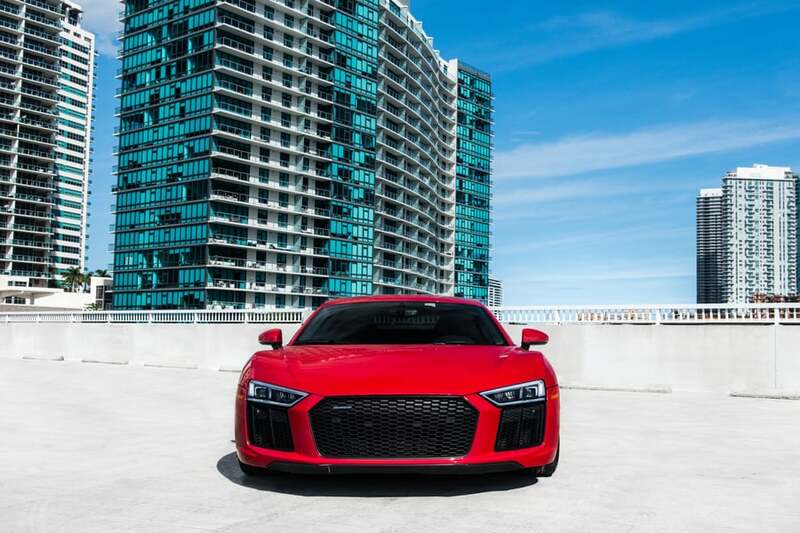 The Audi R8 has the entertainment capabilities you’d expect such as Apple CarPlay and Android Auto. Coming from its Bang & Olufsen speakers, any tunes that you can crank will sound like magic. In-car 4G LTE and Wi-Fi come standard. 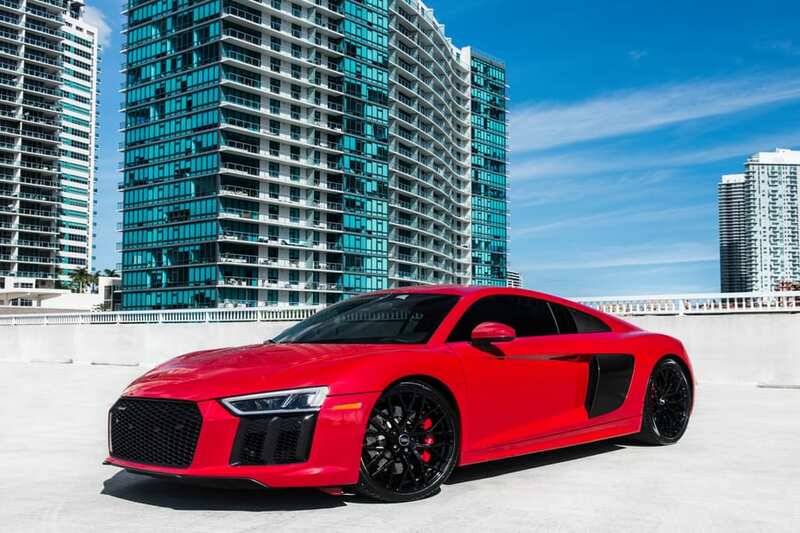 All told, the R8 is an Audi rental in Miami that can’t be ignored. The spoiler and body kit alone make it a near twin of Lamborghini models that are far more expensive. 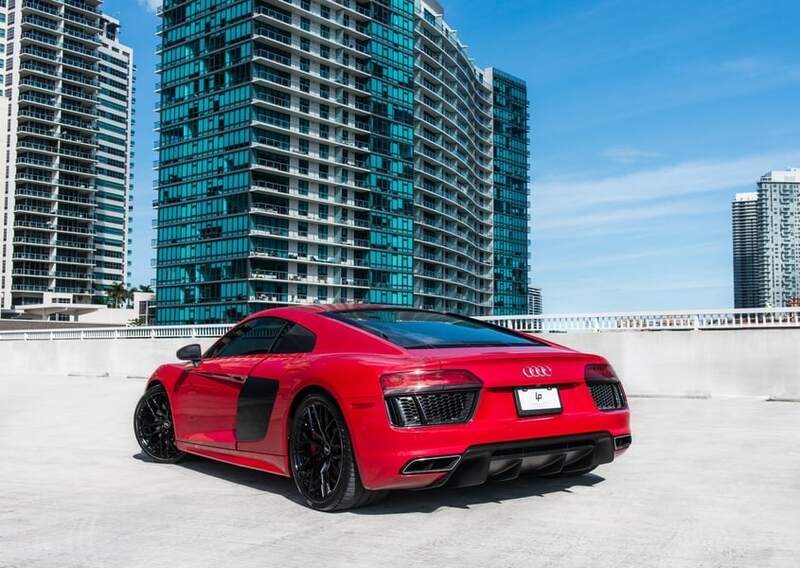 If you want to rent an Audi in Miami to make a splash, the R8 is the best choice. Get in an Audi R8 in Miami Today! 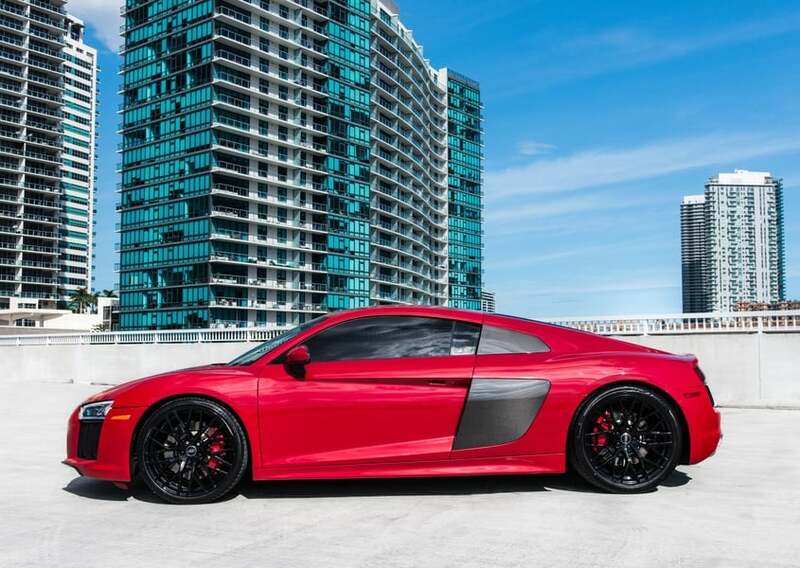 As far as an Audi rental in Miami is concerned, the R8 is a sure-fire hit. It kicks like a mule and looks good in the process if you want a great super car that projects a certain image. 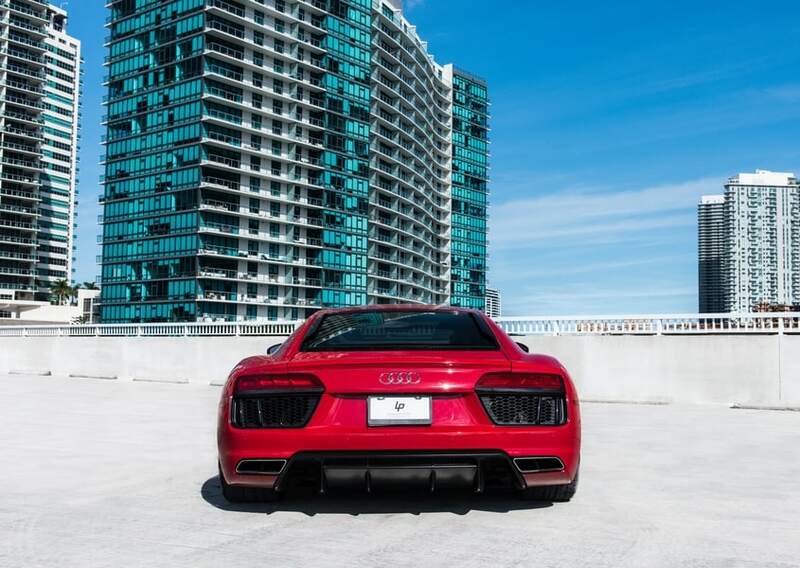 Call us immediately at 786-441-7392 to book your Audi R8 rental in Miami.